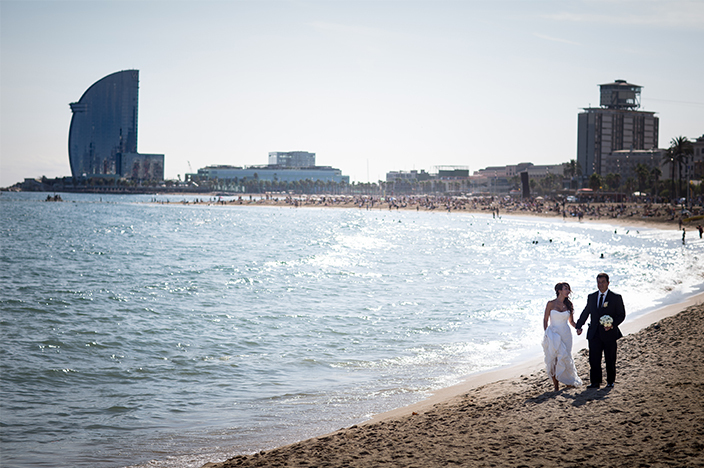 Best sunny wedding destinations in Europe: Enjoy Spain! Want to tie the knot overseas under a blazing sun? The beautiful coast of Spain and its many ancient cities are replete with glamorous, fun and original location for your destination wedding. Can you picture yourself exchanging your vows under the sun braced by the rich and warm culture of the latin spirit, or by the beach? Then head to Spain and get ready to have the day of your life. Making sure you select the perfect spot for your proposal, your elopement, your destination wedding or your vow renewal is not always an easy task. Especially if you want to go for a ceremony overseas! Are you looking to celebrate just the 2 of you, without witness? Or have an intimate, family-focused wedding? Well, celebrating abroad is a bold choice you will be thrilled with, we can guarantee you that! This will allow you to design exactly the vows celebration you dream of. Spain shelters many wedding-suited places, and you are bound to find the one that meets your needs. In order to help you in there, we have designed packages including the most famous locations in Spain for your love celebration. You could choose the bustling Barcelona, the elegant Madrid or the majestic Seville. All 3 cities are some of Spain most iconic and popular destinations. If you want to go for a 100% beach and sun oriented gay celebration though, you might consider the laid back Sitges. Would like some more options though, hereunder are a few other picks. 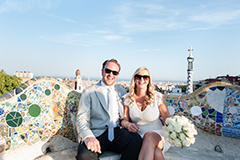 We have had amazing destination weddings there! Nested in the heart of Andalusia, Granada’s energy will seduce you. Birthplace of the flamenco music and dance but also located at the foothill of the Sierra Nevada, Granada is the perfect balance between nature and culture. The majestic Alhambra palace, the free tapas and laid back atmosphere are some of the attractions that made this town a must-see in Spain. Be prepared to get postcard-like views round every corners. Since you are eloping or renewing your vows abroad, guests and family might not be following. That’s a strong argument for having great pictures and why not a video of this special day to bring back home. Granada will be a stunning set for your images of all kind! If you’re in the mood for love, the romantic atmosphere of Granada will be just what you need! Another magic spot in Andalusia, Cordoba is a mesmerising place that will display its magic to your proposal or elopement. Home to the stunning Mezquita, one of the world’s most famous ancient mosque, Cordoba is an exquisitely romantic place with its narrow streets and lively vibe. Want to make this special day a very intimate one? then Cordoba is calling you! Would you have any questions, feel free to contact us! Our seasoned team and officiants in spain will be happy to listen to your needs, values and beliefs and help you select the destination you are just looking for.